Plan your Australia tours & holidays with VIBRANT PTY Australia tour packages. Australia is a land of staggering contrast and spectacular beauty. 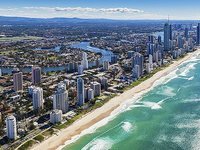 Along the coast, explore vibrant multicultural cities like Melbourne &Sydney, vast sand islands, ancient rainforests, & dive the Great Barrier Reef. Book Australia tours now!